Gleeds is a partnership of international management & construction consultants with offices around 5 continents, with its principal office in London. Global Elite Organization Ltd. is full business service marketing, advertising, consultancy, training and IT solutions corporation. Global Investment Group are a group of consultants who offers services in Business development, Clean Technology, Life Sciences and Exports Services. Business consulting service company aiming to deliver high quality services to relieve your company for operational stress and resources utilization. Your Integrated Business Solutions Provider. Specialized consultancy firm established 1970 in Stuttgart enganged in the sectors of Health Case, higher education, research and industry. Techno-commercial representatives and consultants in the field of power generation. Management and financial restructuring for both industrial and service enterprises. Establishes quality systems, consultation and training. Consulting and promotion activities in the field of technologies and process plant designs for the refining and petrochemicals industries. Producer of marble, granite stone blocks, slabs and tiles. 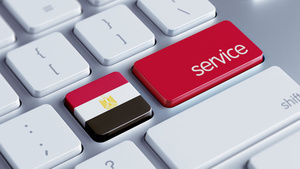 A joint-stock company incorporated in Egypt, providing services in investment, banking mergers and acquisitions, privatization & corporate finance. International Services & Consulting Co. Since 1984. Basically specialized on important export and representing foreign companies in different fields. Established in 1942 with 1000 employees, KPMG is an accounting and consulting firm. ?????????? ???????? ??????? ?????????? ??????????? ????????? ???? ??????? ???? ???????? ???????? Logic Management Consulting is a key regional player in management consulting and management services in the MENA region. High Professional Services related to Auditing, Accounting,taxes and work permits, payroll services and for more details, please enter our website.